Of fantastic architecture and with fabulous natural surroundings, Villa Winter must have been majestic during its heyday. As its backdrop is the colossal Pico de Zarza, Fuerteventura’s highest mountain. From its balconies, Playa Cofete’s golden sand expanse and azure waters can be admired. Picture-perfect in every way if only its very existence isn’t veiled with mysteries. Shedding some light on the mansion’s supposed “dark” past are investigative guests. And, the endless supply of mind-boggling stories keeps them coming. Born in 1893 in the Black Forest, Gustav Winter was a German engineer known for his link with the Nazi Party. The mind behind many projects in Gran Canaria and Fuerteventura, Villa Winter remains to be his most famous creation to date. Although spectacular, its beauty isn’t why the estate continues to amass attention. In 1939, an agreement between General Francisco Franco, the man in charge of the whole Canary Islands, and Adolf Hitler to turn Jandia Peninsular into a military zone was reached. Given the authority to fulfill the vital work was no other than Winter. Allowed to drive the locals away from his new project, he was also granted full use of German workers and political prisoners from the Tefia concentration camp. His first undertaking was the construction of the road from Morro Jable to Cofete. He then recruited the locals from neighboring villages to erect his now famed villa. A heavily guarded site, workers were brought in every morning, and not one must be in the area by the evening. Parts of a railway track were also found within the villa grounds and 200 meters to the east. If anything, it indicates there was mountainside construction. Despite being accused as a Nazi spy after the Second World War, Winter was not surrendered by Spain. 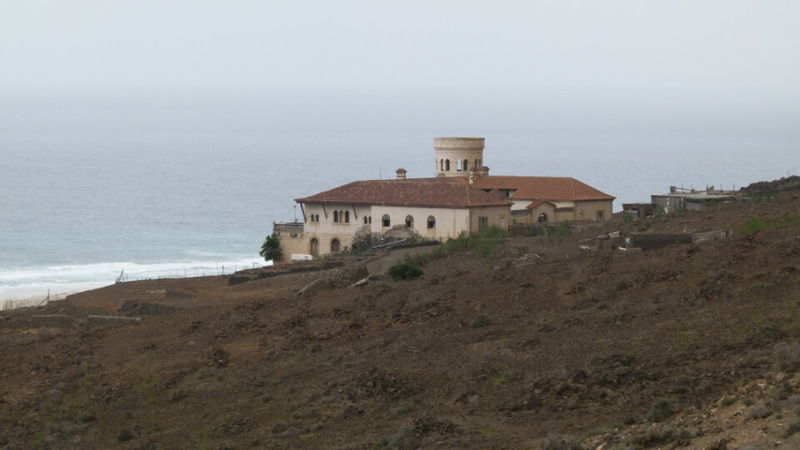 He lived a long life in Las Palmas de Gran Canaria until his death in 1971. As for his now weather-beaten villa, it has been owned by a Spanish building company since the nineties. Its care, though, is left to a keeper who allows visitors in for a little tip. Several conspiracy theories about Villa Winter have emerged throughout the years. It is to the point that it’s almost impossible to distinguish facts from fiction. The palatial abode’s every detail was scrutinized, and suspicion never stopped. Fast-forward to more recent years, all the controversies have turned it into a Fuerteventura must-visit. With a tower, half round porticoes and windows, and Winter family coat of arms above the entrance, it is the engineer’s very own castle. Who would build one as impressive and not live in it? Well, apparently, Mr. Winter is known to have resided in Morro Jable instead of his own villa. Official records were also subject to doubt. Locals claim the two-floor residence was built in 1937, but documents say 1946. The mansion also has an extensive basement that is as long as the house itself. With just one window and six-feet thick walls, it indeed is tunnel-like. Many other rooms have no windows as well. Those features made people wonder if it’s really just a house and if it is, why isn’t the owner living in it? One sure fact is the existence of Jandia airstrip that was also built by Winter. Located in the south, it can still be seen when approaching Puerto de la Cruz airfield. There are also old aerial photographs that clearly show the runway. Don Gustavo, as called by the locals, couldn’t muster an explanation on why it was built. Another popular hearsay claims that the villa isn’t a home but a plastic surgery clinic. Here, Nazi criminals get the procedure done so they may continue with their lives in South America. Witnesses claim these wartime fugitives either arrived by submarine or plane. The latter explains one of the reasons why the Jandia airstrip was built. Perhaps the most big-budget Hollywood spy movie-like of all the conspiracy theories is about a subterranean submarine harbor that is still yet to be found. Formed through volcanic activities, the Canaries is abundant with lava tunnels. It is said that these natural tubes turned hidden harbor still holds two U-boats. Villa Winter doesn’t have specific opening hours. 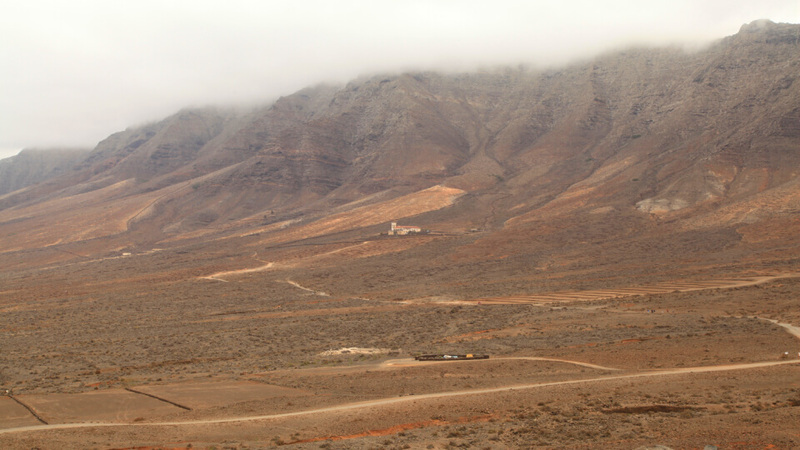 Most tourists, though, get to Cofete through the 4×4 minibus so they come around past 10:00 and no later than 16:45. There’s also no entrance fee, but the keeper of the mansion lets vacationers look around for a small tip. Villa Winter is in a vast secluded area with no other facilities. 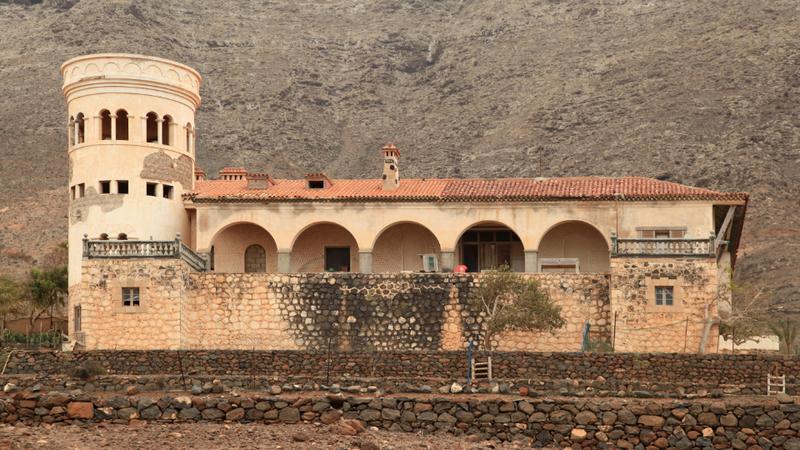 When sightseers get hungry, they have but one choice – Restaurante Cofete Pepe El Faro. They are known to serve the best cortado in the island, and it pairs deliciously with their cheesecake. Their other best-sellers are papas con mojo, gofio, goat meat stew, and paella. Vacationers can also dine during their stop at Morro Jable or bring prepared food. From Puerto del Rosario, tourists must first reach Morro Jable through bus lines 01 and 10. The prior has fewer stops and is slightly cheaper. On the other hand, those coming straight from the airport can take the latter. From Morro Jable, the 4×4 minibus leaves every 10:00 and 14:00 for only €2:50 each way. It stops at Cofete first at 10:45, Punta Jandia Lighthouse at 11:20 and leaves at 12:00, and back in Morro Jable by 13:30. From any of the two stops, tourists then can walk to Villa Winter. For those who would like to bring their own cars, please note that the road to Villa Winter is extremely rocky. If it’s not a 4×4, it is best to leave it in Cofete and walk from there. The trip to Villa Winter isn’t easy, fast, or the most comfortable. It is all worth it, though, especially to mystery seekers, Nazi spy aficionados, architecture lovers, and nature enthusiasts. Although they will have to brave a bumpy dust track, it will also afford them a breathtaking sight of Pico de Zarza, Fuerteventura’s highest peak, and the undisturbed golden sandy stretch of Playa Cofete. Even in its dilapidated condition, the whopping mansion has an undeniable beauty. Just as apparent is the air of mystery that reeks in the whole property. Somehow, it makes the stories and conspiracy theories more believable and exciting. With all that’s in store, the travel to Villa Winter is unmistakably well worth it. What other island attraction can turn one’s vacation into a thrilling espionage film?